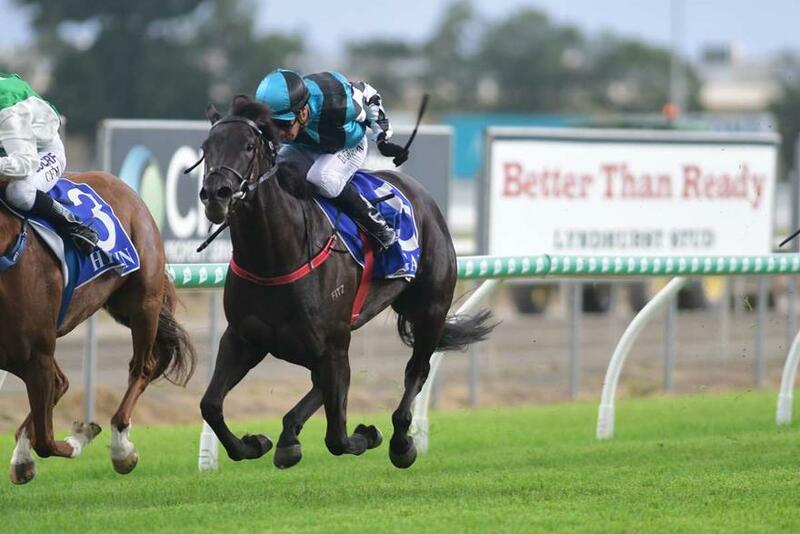 Four runners line-up at Wednesday's Midweek Metropolitan meeting at Doomben as the stable looks to continue its strong recent form. Last-start winners PONY POWER (pictured) and WASHINGTON STREET both take their place in the Class 3 Handicap (1350m) off the back of nice wins in Class 1 company a fortnight ago. Two-year-old STAMPE drops back in distance from a third placing over 1200m at the Sunshine Coast last-start to contest the QTIS Two-Years-Old Handicap (1100m). Open class galloper NIKITAS drops in class considerably to contest the Open Handicap (1350m), having raced in stakes company at his last two starts. TRAINER COMMENTS: "It looks a nice race for him with quite a bit of speed in the race. He's done very well and I'm very happy with him going into a race like this." TRAINER COMMENTS: "He's drawn a little bit tricky but I expect him to be able to roll forward. He's fit enough now as he's had quite a few runs and although he's up in grade, it gives us a good guide as to where he is at." TRAINER COMMENTS: "I'm very happy with how she's come on since that good win at the Gold Coast, it seems to have done her confidence the world of good. This looks a nice stepping stone after that run and I think if she gets the right sort of run in the race, she's certainly going to be competitive in a race like this." TRAINER COMMENTS: "I'm happy with him going into this sort of race, he comes back a lot in grade compared to what he has been meeting and he's freshened up nicely. If he can get reproduce his run from two starts back, he'll be more than competitive in a race like this."